I have always loved a good book as I sip my tea. 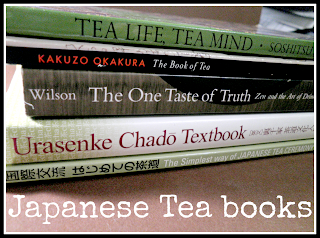 The books I would love to introduce you all to are all Japanese Tea themed in nature. Japanese tea and literature has always given me the feeling of a meditation, calmness and serenity. I hope these books give you the same peace as it does for me. The Book of Tea by Kakuzo Okakura- Written in 1906, I found Okakura enlightening and gave a unique perspective of the time. He was brought up in Japan then was given a thorough Western education as opposed to the traditions of his own culture. He then connects with the traditions and allows us to see and understand the traditions and his opinion of the changes in Japan at the time. Western education had become a priority households and traditions were left behind, this reminds me of the many cultures around us. I am a big history fan, especially with tea and Japan, this book was very moving when he connects the development of tea to the development of art. Two of my favourite things in life together. Tea Life , Tea Mind is written by the former Iemoto of Urasenke. Iemoto is like a father or head teacher of the tea school. He inspired me through his words in this book. He urges us to not only learn about tea but to live it through our daily life. By recalling memories from his life and tales from the life of Sen Rikyu’s Grandson, Sen Soutan. With these stories he breaks them down from their Zen parable like wording to make the reader feel on the same level as him. This book inspired me to focus on the four virtues of Sen Rikyu. Wa (Harmony), Ka(Respect), Sei (Purty) and Jaku (Tranquility). I plan to get each character written down my back as I understand them through tea. The Simplest way of Japanese Tea Ceremony- Japanese Tea Ceremony can seem overwhelming but it does not need to be. This book comes with a DVD video to help you see the steps to making matcha in a very simple way. It takes the bare bones and allows anyone to prepare matcha in no time. I added this one to my collection as it is written in both Japanese and English for all text, it helps me recognize which kanji are for tea and learn Japanese from a unique angle. The One Taste of Truth caught my eye while looking through the Philosophy section at Chapters. One could say that it should have been in the religion section as it deconstructs Dao and Zen proverbs throughout history. As both followings are very philosophical and dense, I will admit it is hard for me to follow the most of the stories with in the book. Although I hope that returning to it again after gaining some wisdom through life will allow me to read it with a new perspective in the future. Most books can be purchased through Chapters or Amazon, with exception of The Simplest Way of Japanese Tea Ceremony. This one I obtained from Karen Hartwick of Stratford Tea Leaves. 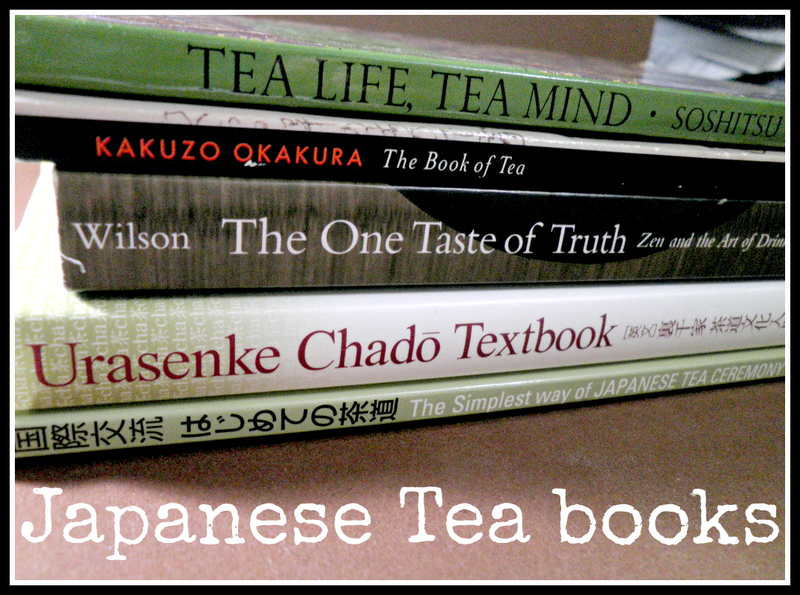 All books are my own and were purchased to further my education of Tea and the traditions behind it.